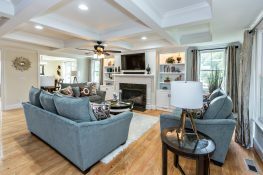 Home » Featured Builders » Norman Miller Builder, Inc.
Norman Miller has been a Featured Builder at Gatling Pointe South, The Riverfront at Harbour View, and in Founders Pointe. His homes have won numerous awards and he has a reputation of building timeless, classic designs that stand the test of time. To view his website, visit http://normanmillerbuilder.com/. Check out Norman Miller’s 2010 Homearama model home- The Meadow Glen.